Sometimes exercise and healthy eating just aren’t enough and our bodies still hold on to stubborn fat cells. 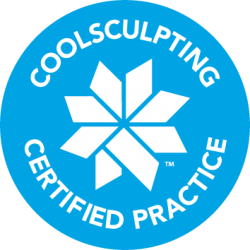 CoolSculpting is a scientifically-proven procedure that actively targets and freezes away unwanted fat cells in the body. The *results are a streamlined, slimmer figure – the body you’ve worked hard for and deserve. CoolSculpting can transform soft pinchable fat in areas such as: the stomach, upper arms, back fat, bra fat, under chin, thighs and hips just to name a few. Note that CoolSculpting is not a treatment for obesity – it’s about targeting specific areas and is a favorite as a non-invasive alternative to surgical fat reduction. At Lolachi Institue we use only the latest ‘CoolAdvantage’ applicators specifically tailored to your body needs in only 35 minutes per area. CoolCurve+ – this applicator uses a cup design that works best of the narrow curves of the body such as the flanks. For small fad bulges, this may also be used on the Abdomen. CoolMax – suggested for large volume reduction or debulking, usually used for lower abdomen. May also be used on other areas for debulking a large bulge. CoolMini – ideal for very small areas of fat, most commonly used on the chin fat area. In some instances, can be used on knee fat, or underarm bulges. 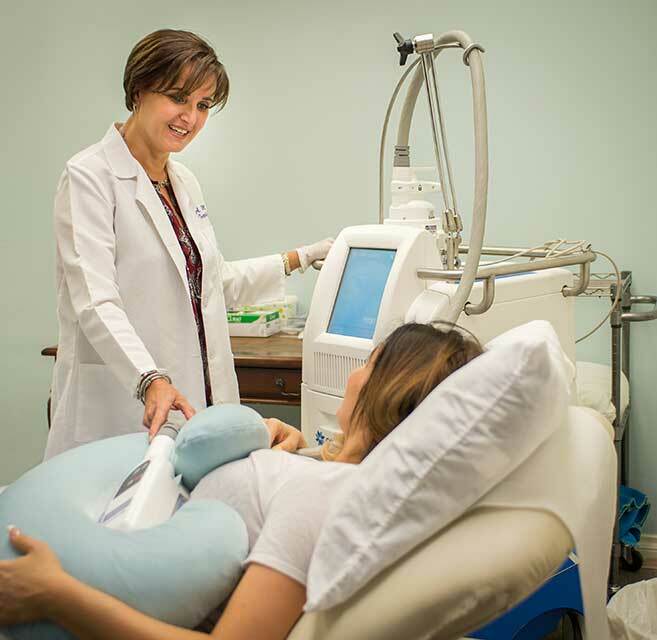 After your consultation is complete and all your questions are answered, Dr. Lolachi will examine you to determine if you are a good candidate for CoolSculpting. Depending on the amount of fat in your area of concern, we will discuss the number of treatments needed for you to achieve the best results. Before the treatment is started, photos will be taken of the areas to be treated, and then the area will be examined once more by the doctor to determine which applicator will give you the maximal outcome. She will then draw markings on the treatment area to assure that the applicator will be placed accurately to cover the area with maximal bulge. This process is very important in giving you the best results. There is a sensation of pulling as the applicator is placed on the treatment area, and there is minimal to no discomfort. If there is any discomfort, it is temporary and will subside within 5-10 minutes. The treatment takes 35 minutes per area. The applicator will freeze the fat cells, which then crystallize and die. There is no activity restriction after the treatment. Over the following 6 to 8 weeks, your body processes and eliminates the dead fat cells. This *results in a permanent reduction of the bulge, if you maintain your pretreatment weight, and continue healthy lifestyles. Your follow up appointment will be scheduled for 2 months after the treatment, when the doctor will re-examine the treated area and after treatment photos will be taken. *The results described are based on active and strict participation in our program. Individual results may vary.